Pigeon Household Services Pvt Ltd, which operates on-demand laundry services firm Tooler, has raised an undisclosed amount in pre-Series A funding from CASHurDRIVE founder Raghu Khanna and former Paytm executive Samir Gupta. The Delhi-based startup will use the money to enhance marketing and improve customer experience, it said in a press statement. Tooler was co-founded by Himanshu Arora, Vishal Gupta and Sukanth Srivastav in June this year. It offers services such as washing, ironing as well as dry, shoes and sofa cleaning. Dexter Capital was the financial advisor for this transaction. The startup, which receives orders on its mobile app, website and customer care number, delivers within 48 hours. It also allows payment through mobile wallets. 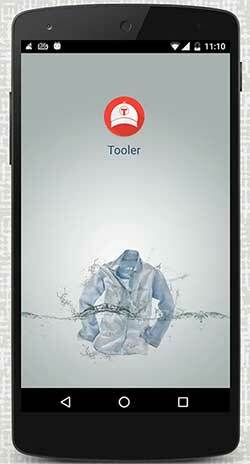 Tooler, which is currently operational in Gurgaon, Delhi and Ghaziabad, claims to handle about 100 orders a day. Going forward, it aims to clock 10,000 monthly orders. The size of India's laundry market is estimated to be about Rs 200,000 crore. Of this, 95 per cent falls in the unorganised category. Several new-age startups are trying to make laundry/dry cleaning a more efficient affair through the use of technology. Indeed, some of these firms have also raised funding. On-demand laundry service platform Flashdoor recently got an undisclosed amount in angel funding led by former Flipkart executive Sujeet Kumar. In August, PickMyLaundry raised $100,000 from Green House Ventures. Earlier this month, Wassup, an on-demand laundry and dry-cleaning services startup, acquired express laundry service provider Chamak for an undisclosed amount.